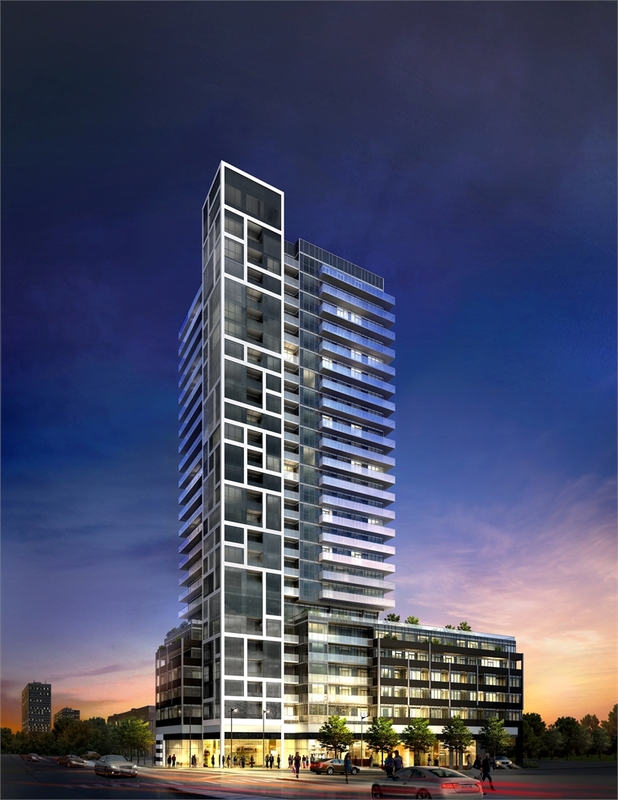 The appeal of south midtown Toronto is on the rise, as Rise Condominiums is now well under construction. The Presentation Centre has been demolished to make way for this outstanding residence to rise on the southwest corner of Bathurst and St. Clair. Baker Real Estate Incorporated has set up a meeting space at Reserve Properties’ office, and hours are now by appointment only. There are still stunning suites available in this condominium, which is steps to the subway and across from Loblaws (formerly the Forest Hill Market). One of Toronto’s best-kept secrets for a long time, the Bathurst-St. Clair neighbourhood is now one of its most desirable. The area is bustling with shops and services such as bakeries, European cafés and well-loved restaurants such as The Stockyards, The Rushton and Ferro. Some of Toronto’s finest public schools and loveliest parks are also in this coveted area. Rise’s head-turning exterior by Graziani + Corazza Architects will frame absolutely gorgeous interior spaces. The modern two-storey lobby, for example, will overlook a sculpture garden. How is that for a serene welcome? And on the 7th floor, the amenity spaces will be phenomenal, with an array of lounges to satisfy every mood. Billiards, games, media and fireside lounges are joined by a dining room with a bar and catering kitchen, library, saunas, yoga studio and fitness centre. Two outdoor spaces include the cabana terrace for sunbathing and a cityview terrace with barbecues, outdoor dining, a fire pit lounge, conversation lounge, sun lounge and fabulous infinity pool. Take a look at the renderings at www.RiseCondos.com for a true appreciation of just how beautiful this residence will be. To make your private appointment, call 416-546-7399 or email us at risecondos@bakersales.info.